Home / STORE / Asas Tomtebods / Tomte / Nisse. / Tomte Mother. Tomtemor. 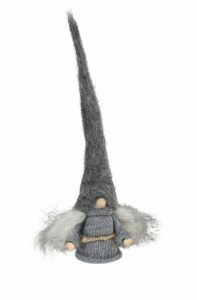 / Tomte Mother Grey. Tomtemor. Little tomtemor about 25cm high, available with red or gray cap.